Specifically designed for cutting shrink materials but also suitable for cutting many other materials: printed and not-printed, paper, laminated paper, adhesive paper, I.M.L. labels etc. 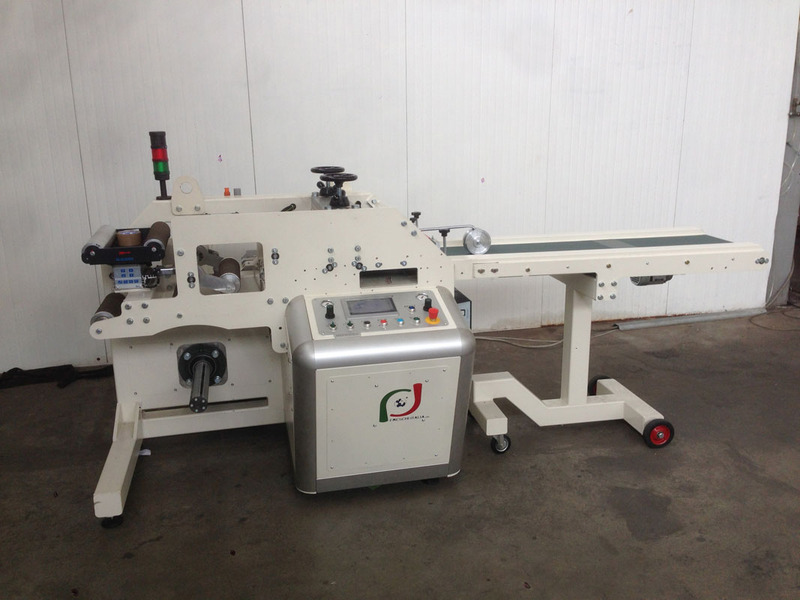 Maximum speed: 120 m./min. 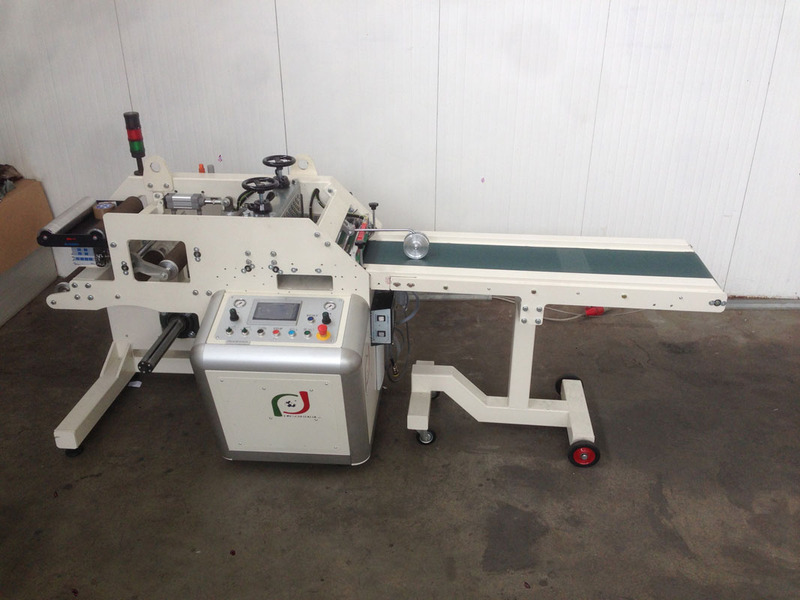 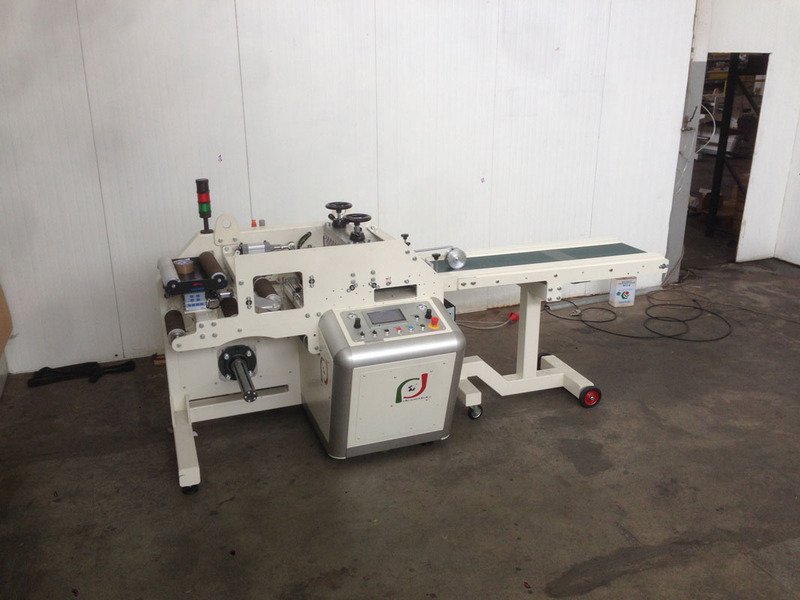 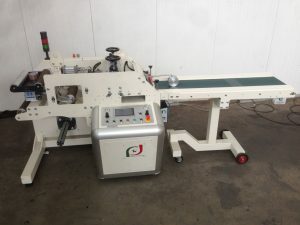 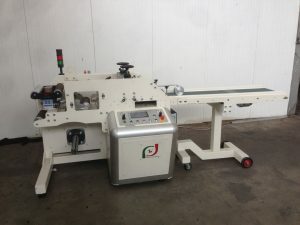 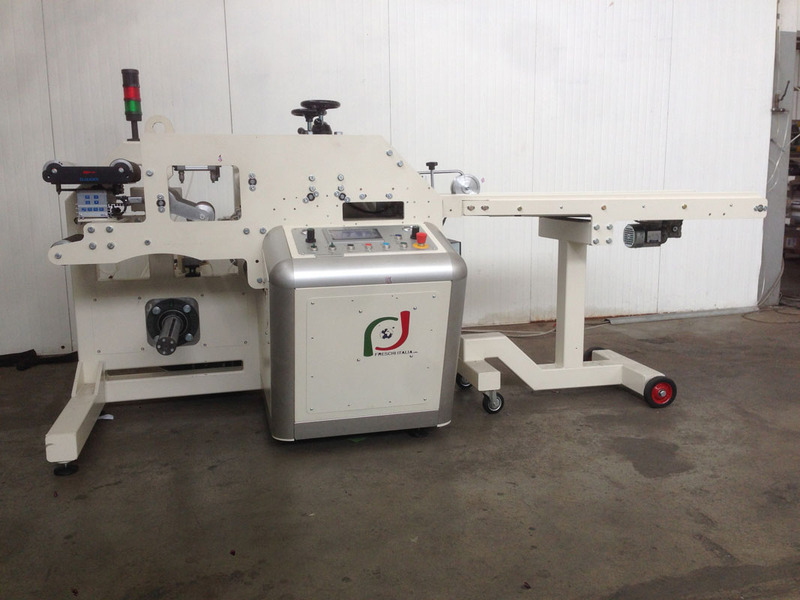 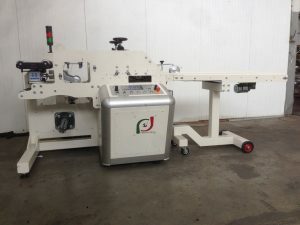 or 500 cuts/min The machine is based on a rotary electric drive axis cutting system, provided with two rotary cylinders (a knife-holder cylinder and a counter knife cylinder) and a servo driven system. 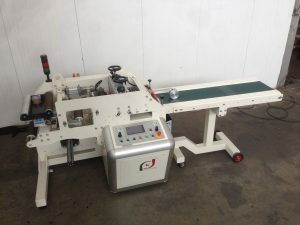 This system allows to cut the material in register without having to care for changing tools on varying the format.